Britannia ruled the world’s waves for centuries. 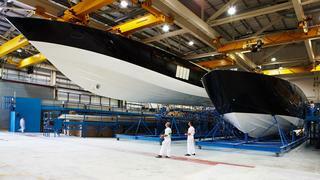 Now this seafaring giant is reigning supreme when it comes to building series superyachts. There’s an old saying that mighty oaks from little acorns grow. It was King Henry VIII who, while fickle in his marital affairs, developed a single-minded determination to grow a British navy and, during his reign, a fleet of five ships grew to a force of more than 50. From these acorns – literally, as it turns out, with oak forests being planted specifically to service shipbuilding and repairs for the expanding British Royal Navy over the centuries – began a golden era of seafaring history that carried British interests all over the world. Fast-forward 500 years and the materials may have changed – oak being replaced by thoroughly modern composites – but a new fleet of British ships is quietly exploring the world and conquering the oceans. Britain is currently at number four in the Global Order Book, with 2,216 metres of yachts over 24 metres in length under construction as of January 2015 in UK yards. If you have any doubt over the importance of the Brits when it comes to big boats, you need look no further than the three big players in British series superyacht production: Oyster Yachts, Princess Yachts and Sunseeker. 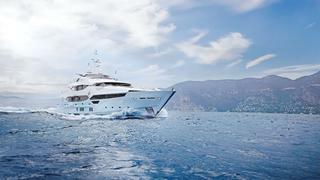 The figures speak for themselves: Princess currently has eight yachts of 30 metres and above in build, including two 40 metre, three 35 metre, and three 30 metre M Class yachts. Oyster has two 885 models and three 825s in build and work is starting on the first 35 metre Oyster 118, while Sunseeker could boast 36 projects over 24 metres under construction at the start of 2015, including the second Sunseeker 155 Yacht and 10 others over 34 metres. What is perhaps more remarkable is that the production of large yachts is relatively new for all three, yet the numbers are staggering. Sunseeker was the first to breach the 30 metre mark with the launch of the 105 Yacht in 2001, yet in 2015 the yard will deliver its 100th yacht over 30 metres. Oyster has launched 32 yachts over 24 metres so far, while Princess – which launched its first 40M yacht, the new British superyacht Imperial Princess, just three years ago – has gone as far as buying a new yard to cater specifically for its big boat production. 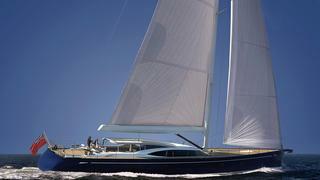 The Oyster 118 is just one of the new yachts to look out for from British builders. 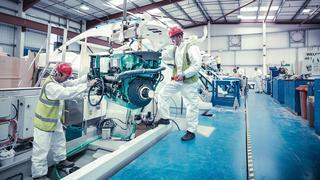 The appeal of British craftsmen, and the playing of the Brit theme, is also evident in the proud-to-be-British Sunseeker ethos – spurred not least by the company receiving a Queen’s Award for Enterprise in 2007. It is notable, too, that many of the world’s leading superyacht designers and naval architects are based in London or on the south coast, and for Harvey Jones – technical director at Southampton Yacht Services, part of the Oyster Yachts group – this is no coincidence. You could hardly argue with that, and it is reflected not only in the UK’s naval heritage, but also in the heritage of the builders themselves. 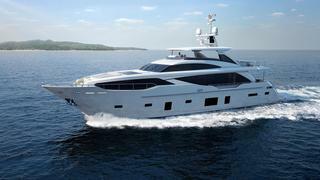 Oyster Yachts and Sunseeker are both in their 40s, while Princess celebrates its 50th anniversary in 2015. It is doing so in style, having bought back one of its original Princess 31 models to refurbish as part of the celebrations as well as teaming up with London-based luxury retailer Thomas Pink to create a capsule fashion collection. It’s the same story at both Oyster and Sunseeker, and is ably demonstrated by Eddie Jordan, the former Formula One team owner turned TV pundit (and Boat International columnist). He started with his first Sunseeker in 1986 and has grown through the range, including being the first customer for several of the ground-breaking large yacht projects – right up to owning the first 47 metre Sunseeker 155 Yacht Blush. Blush was among the 10 best British built superyachts, right up there with Imperial Princess, the Oyster-built Lush, also owned by Eddie Jordan, and classics that harken to British's yacht building heritage. As if to reinforce his Brit-fan credentials, Eddie Jordan also recently completed the 2013 Oyster World Rally on his own Oyster 885. It is clear that, from humble beginnings, all three builders have grown to make Britain a major force in series superyacht production, drawing on a seafaring heritage, home-grown skills and a pure passion for building yachts for yachtsmen. Acorns and oaks. Henry VIII would have been proud.